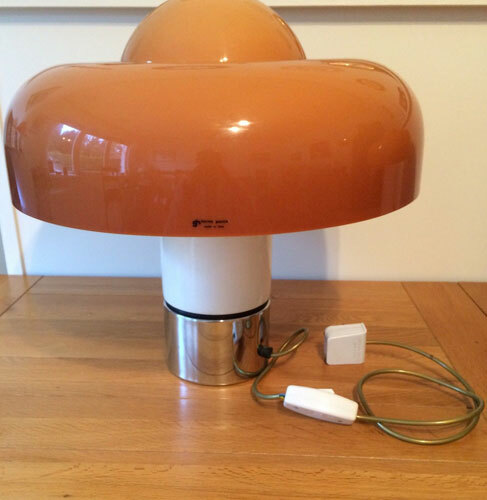 I think the spelling error might have resulted in no bids as yet for this pair of 1970s Guzzini Brumbury table lamps on eBay. We have a pair of these in our house and they really are quite stunning pieces. 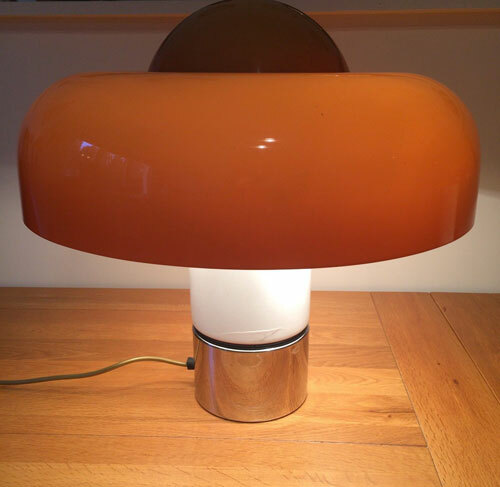 The oversized shades in orange and chunky, circular stem in white jump off the page. 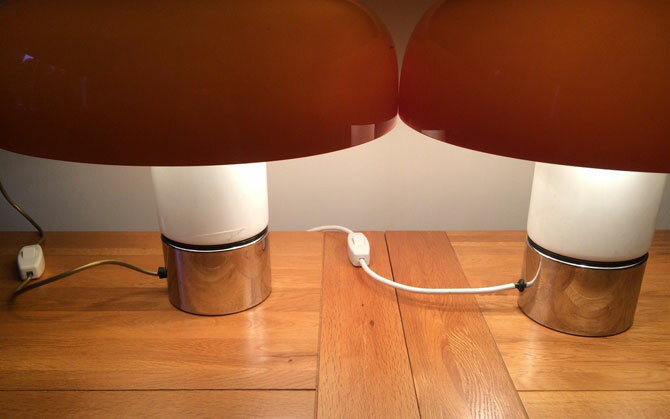 But what might not be obvious (unless they have been been rewired) is the in-line switch, offering different lighting options from the lamp. Or press both buttons to have it all light up. The ones here have ‘been in the family from new’ and are described as being in ‘good condition’. Harder to find these days and becoming more collectable as each year passes. The price for the pair is £500.